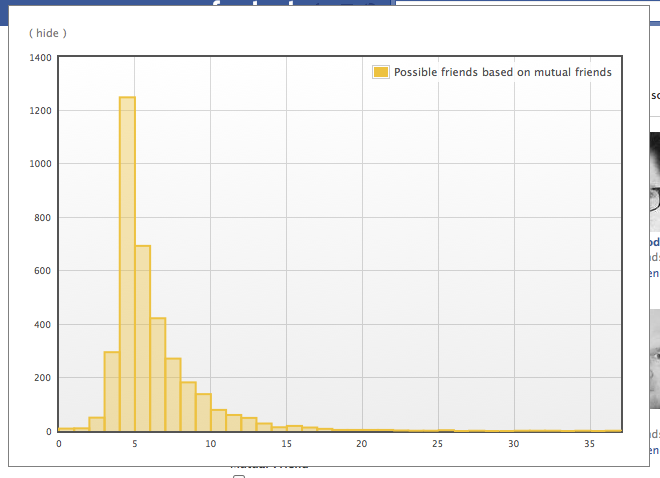 I found Facebook’s “Find Friends” browse page and thought it would be fun to do an experiment with the data contained within. To participate in the experiment download and install either this Firefox or Chrome Kynetx browser extension. The app will put a button on the Friend Finder page which will allow you to view a graph based on the currently loaded possible friends. 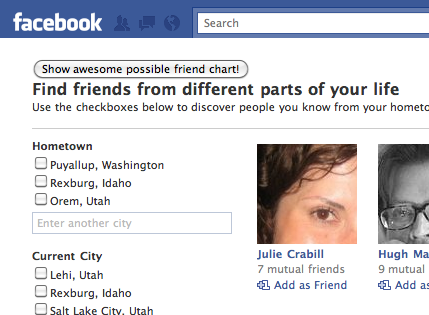 Clicking on the “Show awesome possible friend chart!” button will reveal the awesome possible friend chart.